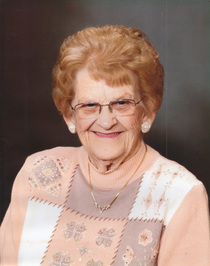 Margaret E. Schumacher, age 92, of Woodsfield, Ohio passed away Monday April 20, 2015 at Altercare of Louisville Nursing Home, Louisville, Ohio. She was born in Noble County Ohio a daughter of the late Paul & Hazel Powell Brown. She was a member of St. Sylvester Catholic Church of Woodsfield, Catholic Women’s Club, St. Francis Society, and the Ruritan. Preceded in death by her husband Frederick Schumacher, brother Jonathan P. Brown, and one young sister Geneva. She is survived by three daughters Patricia (Phillip) Stephens of Louisville, Connie Kavalieros of Westerville, Ohio, and Linda (Fred) Lepard of Ft. Myers, Florida, eight grandchildren Severin Stephens and Mary Jo, Scott Stephens, Shawn Stephens and Kim, Teri Metz and Mark, Todd Kavalieros, Chris Kavalieros and Andrea, Rob Lepard, and Lynette Jackson, sixteen great grandchildren Kelly, Jill, Jacob, Sidney, Courtney, Jackson, Weston, Maggie, Cooper, Annie, Otto, Austin, Kristin, Katie, Kyle, and Max. Friends received from 6 – 8 p.m. Thursday April 23, 2015 at Bauer-Turner Funeral Home Woodsfield, Ohio with Vigil service at 8 p.m. Mass of Christian Burial will be Celebrated 11a.m. Friday April 24, 2015 at St. Sylvester Catholic Church Woodsfield, Ohio with Rev. Fr. David Gaydosik officiating. Burial will follow at the St. Sylvester Catholic Church Cemetery.